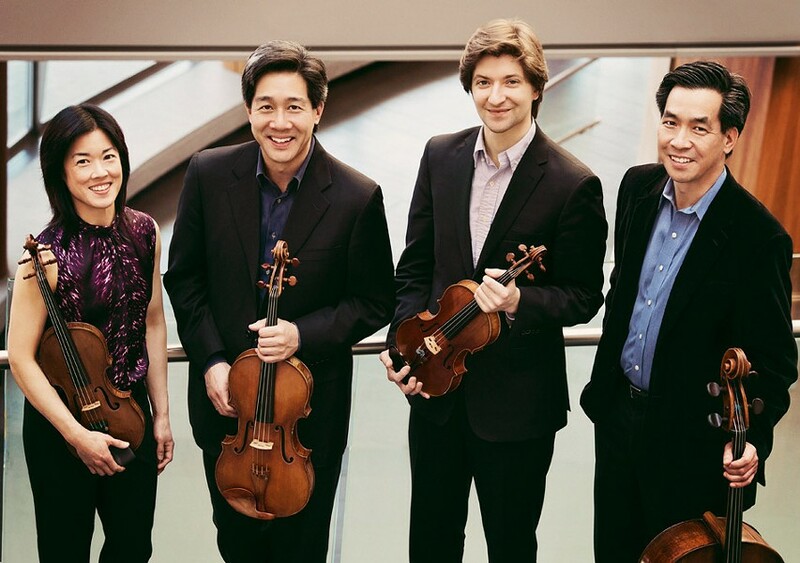 The Ying Quartet — Eastman School of Music's quartet-in-residence — returns to Kilbourn Hall on Sunday at 3 p.m. as part of the Eastman-Ranlet concert series. The popular chamber ensemble will look and sound slightly different this concert season, as siblings Janet, David, and Phillip Ying are now joined by first violinist Robin Scott. Concertmaster of the New York Classical Players, Scott is a seasoned international soloist and chamber musician. This particular concert features both stylistic variety and structural symmetry, opening with Joseph Haydn's Quartet No. 67 in F Major and closing with Maurice Ravel's String Quartet in F Major. The Ying Quartet's intuitive sense of synchronicity and energetic flow is a perfect fit for Ravel's enigmatic yet beguiling music. The program also includes Erwin Schulhoff's "Five Pieces for String Quartet," which brings a decidedly modern sensibility to traditional dance music. The quartet will return to the Eastman-Ranlet series with a second program on Sunday, March 20. The Ying Quartet performs Sunday, November 15, at Kilbourn Hall, 26 Gibbs Street. 3 p.m. $20-$30. eastmantheatre.org.